We are an ART PARTY! YOU be the artist! Open Painting is available any time we do not have a class. This is typically during the weekday with occasional weekend time available. The cost is just $25 and includes all materials and a beverage of your choice. Feel free to copy any of our paintings or bring in your own ideas! No step by step instruction is provided but we always have a friendly assistant on hand to help with any questions. WINE BOTTLES, WOOD PANELS, AND MORE! Do you have more 16x20 paintings than you have room for? 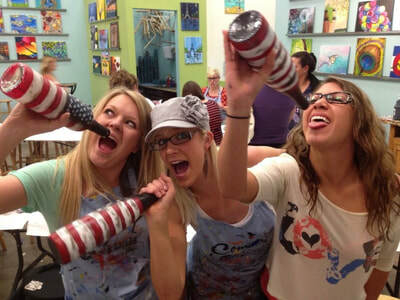 We are now offering painting on wine bottles, wood pieces, and a variety of canvas sizes! While you will see specific classes on our calendar for these surfaces, you are always welcome to exchange your canvas for a wine bottle or wood piece during any of our classes. Please call ahead to make sure we will have it available and prepped for you before class starts. Once a month we hold a fundraiser that is open to any organization with a 501(c)(3). During this specific class, simply write the name of your charity in the GROUP ID section when making your reservation and a portion of the proceeds from your sale will go directly to them! The more people you invite, the more money you raise for your cause! Paint WITH your pet! 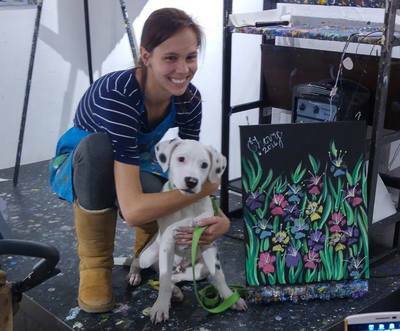 Their paw prints are incorporated into the featured painting! All leashed friendly dogs welcome! Who doesn't love getting dressed up? Grab your blue jean button down and we will provide you with your very own afro wig! 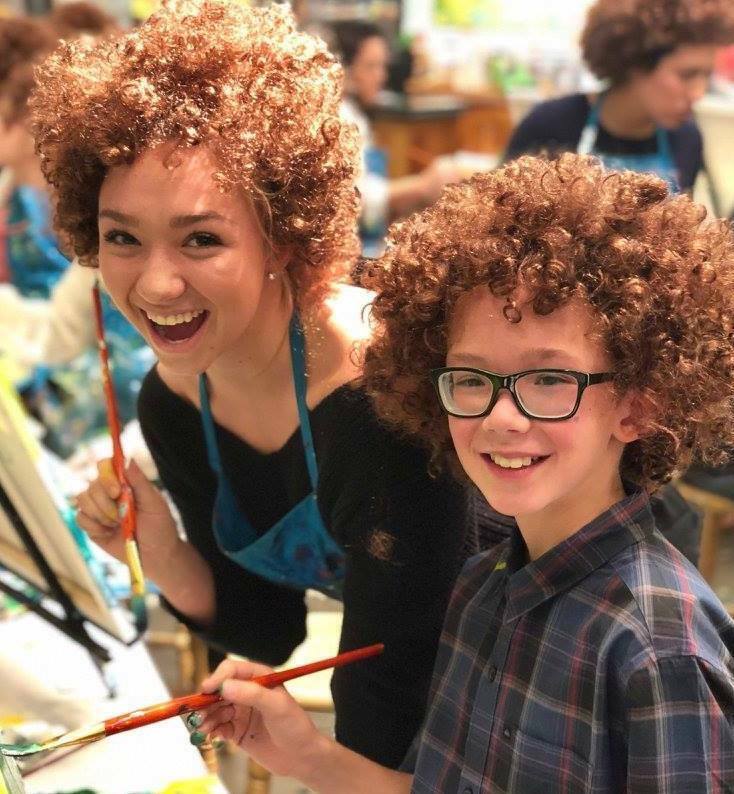 These classes are always a blast but if you just want to channel your inner Bob, our wigs are available to purchase at any time for just $5!